Dow is presenting their DowsilTM silicone adhesives and sealants. These high performance silicon-based adhesive and sealants are long lasting, weather resistant and suitable for many applications. Visit Dow at booth 6522 at hall 6. 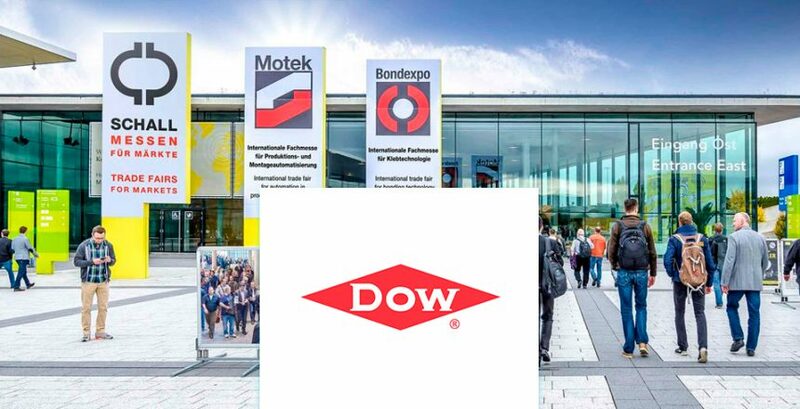 On behalf of Dow, we want you to be our special guest and offer you a free entrance ticket to the 12th Bondexpo in Stuttgart, Germany, held 8-11 October. Because these free ticket quantities are limited, please don’t hesitate. Request your free entrance ticket now, while the supply lasts. We have a lot to share with you at our first Bondexpo exhibit, and are hosting a private, after-hours party in Exhibition Hall 6, Booth 6522. It’s by invitation only – and you’re invited. 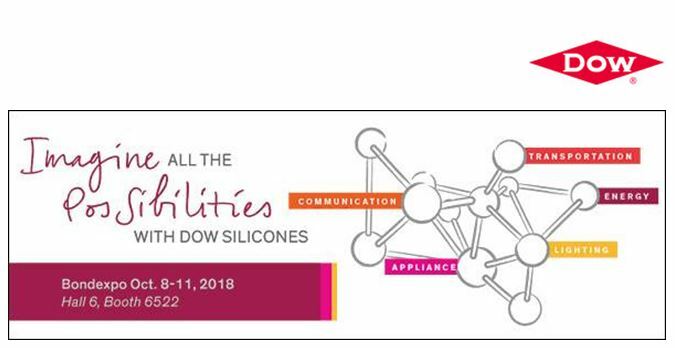 Monday, 8 October, 5 to 7 p.m.
Tuesday, 9 October, 5 to 7 p.m.
See the new DOWSIL™ HM-2600 Silicone Assembly Sealant in action using thermoforming and robotic equipment, in the Dow booth. Don’t miss these live demos – at the top of each hour throughout the show. Dow look forward to seeing you in Stuttgart.